This was the album that got me into George Harrison back in 1987. I saw 'Got My Mind Set On You' on TOTP and went out and bought it the next day and then the album shortly after. Great stuff with not a dodgy song on it at all. Even I see a mistake in this article. The author got the year wrong for when George passed away. The song shot to number one in January 1988. The timing couldn’t have been more fitting; the following week, the Beatles were officially inducted into the Rock and Roll Hall of Fame. It would be George Harrison ’s last hurrah. Three years later, he passed away from lung cancer. In fact, he actually has three number-one solo hits to his credit in the U.S., more than any of the other ex-Beatles (including Paul McCartney , who’s still kind of a big deal). Looking at Paul's wiki discography he's hit number in the US with 'Uncle Albert /Admiral Halsey ', 'My Love', 'Band On The Run ', 'Listen To What The Man Said', 'Silly Love Songs', 'With A Little Luck', 'Coming Up ', 'Ebony And Ivory' & 'Say Say Say'. So i dont know if the guy writing the article means on his own which leaves 'Coming Up ' but its pretty poor going considering Wings took up most of the 70's and duets formed the major single releases in the early 80's. I clicked on the link, and it said 'thirteen', which is correct. Maybe the author edited it when s/he realised his/her mistake? Anyway, about this album: I feel the production is a little too 1980s for my taste, but the songs are good, especially the title track (and I discovered at last where @Zig gets his [in]famous username). I find that so... characteristic. And sweet. ...I discovered at last where @Zig gets his [in]famous username. No...you have not, @Beatlebug . The song 'Zig Zag' is purely a delightful coincidence. Zig is right, SG. You'll have to keep digging in the forum to figure out how he got that name. No...you have not, Silly Girl. The song 'Zig Zag' is purely a delightful coincidence. 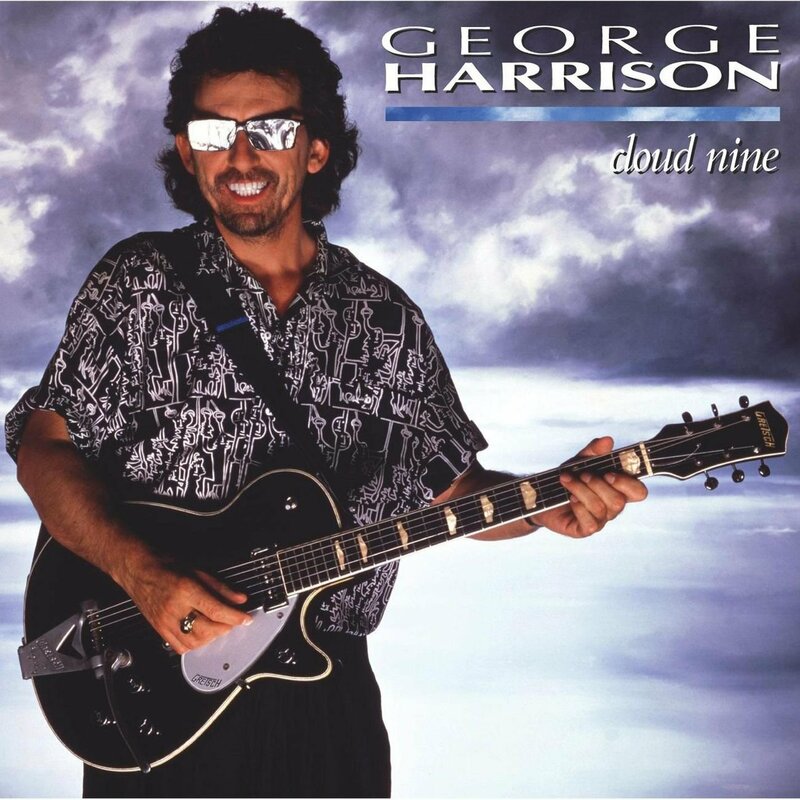 The second George album I bought after George Harrison (1979); but Cloud Nine is better, in my opinion. I dont like the title track. Its too slick and icky. He does sound a bit cattish on the vocals. Maybe Puss sneaked into the studio and did the backup vocals. There is nothing to it bar a horrible saxophone or something that sounds like its from a crappy comedy show. The one good thing is the guitar solo. And the lyrics. I like the lyrics. Which means something coming from me, because I don't pay much attention to lyrics other than to memorise them for the purposes of their being belted out, loudly, to an empty kitchen. I didn't like this album at first, but it grew on me. I dont think the lyrics are that good. I think the album is great but there are weak moments and this is one. Got a copy of this for a couple of quid not so long ago. I wasn't hugely impressed. How much you like it will probably depend on your feelings about jeff lynne's production jobs. A few decent melodies cut through lynnes studio sheen, particularly 'when we was fab' and 'this is love'. It does look like someone's savaged a desktop publishing template in a Mac.